Darryl Bonner joined Stirling Properties in March of 2018 as Vice President of Strategic Initiatives. He is responsible for short- and long-term strategic planning of the company’s expanding commercial portfolio. He also supports new business growth across a variety of service areas including development, management, leasing, and acquisitions. 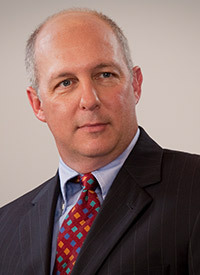 Previously, Bonner was Senior Vice President of Retail for Cousins Properties in Atlanta, GA, where he was accountable for all retail leasing activity for the company—from specialty centers to mixed-use projects and office properties, including the procurement of key leases and tenants during pre-development activities in new projects. Prior to that, Bonner held a range of retail leasing executive positions at General Growth Properties in Atlanta, GA; Jim Wilson & Associates in Montgomery, AL; and Robert B. Aikens & Associates in Troy, MI. A Florida native, Bonner earned his bachelor’s degree from Southeastern Louisiana University in Hammond, LA, and his MBA from Auburn University in Montgomery, AL. He is a member of the International Council of Shopping Centers (ICSC) and holds the professional designations of Certified Shopping Center Manager (CSM), Certified Leasing Specialist (CLS), and Certified Retail Property Executive (CRX). He is a frequent guest speaker at Auburn University, Southeastern Louisiana University, ICSC conferences, industry roundtable discussions, and real estate educational programs. He also sits on the Masters of Real Estate Development (MRED) Advisory Board at Auburn University.